On opening night, the reviewers raved, gushed and swooned: A Triumph. Ravishing. Elegant and Energetic. Gorgeous, just gorgeous. Thrilling. “I would beg, borrow or steal to see it again...” wrote the critic for the Financial Times. Me, too. 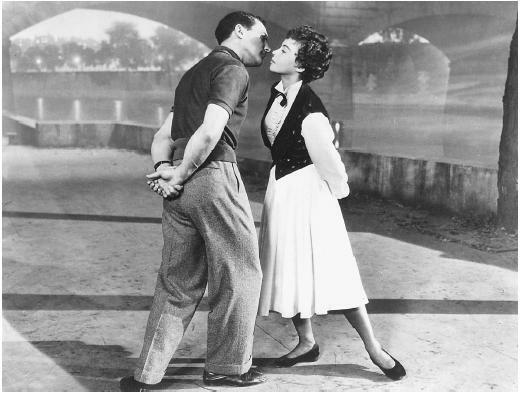 What's surprising is that the film 'An American in Paris,' made in 1951 and starring Gene Kelly as Jerry Mulligan and Leslie Caron as Lise Bouvier, had never been adapted for the stage. Suddenly, there was interest in securing the rights from the Gershwin family coming from both sides of the Atlantic. Which is how it became an Anglo-Franco-American hybrid. The score, written by George Gershwin in 1928, with lyrics by his brother Ira, contains more than a dozen recognizable tunes from “I Got Rhythm” and “Shall We Dance” to “I’ll Build a Stairway to Paradise” and “They Can’t Take That Away From Me.” Then, too, there was the lesser-known “Fidgety Feet,” which had both the cast and audience tapping their heels. Christopher Wheeldon, the director and choreographer, who has danced with the New York City Ballet and the Royal Ballet and has choreographed ballets for companies around the world, is making his directorial debut on Broadway. The dance routines he has created run the gamut from modern dance and ballet to jazz and tap. It’s glorious! One can only hope he will bring his prodigious talents to New York time and again. Also making his debut on Broadway is movie-star handsome Robert Fairchild, a principal dancer with NYC Ballet since 2009, in the role of Jerry Mulligan. Given his good looks and athleticism, he brings to mind his idol Gene Kelly. Watching him defy gravity is humbling. Not only does he dance, but sings and acts! I found myself on the edge of my seat, trying to figure out how he does what he does. And with ease. Mr Fairchild said that “getting to play this role every night is one of the greatest gifts” he’s ever received. To turn that around, I’d say that seeing him perform in this role, even once, was an outstanding gift for this theatergoer. Another fresh face debuting on Broadway is Leanne Cope in the role of Lise Dassin (some of the names from the Lerner production have been changed). A First Artist with Royal Ballet Company in London since 2009 and currently on sabbatical, she, too, sings and acts. Her presence on stage is so compelling, so winning, you cannot take your eyes off her. What’s more, the chemistry between Ms Cope and Mr Fairchild lights ups the house, clear to the rafters. Watching them dancing together, you suspend disbelief and forget you're at a matinee performance at the Palace theater. For a few brief moments, it's the 1940s and you are young, in love and in Paris-- the city of lights, the city of romance. If that’s not enough for you, there are the brilliant ephemeral sets by Bob Crowley, whose list of credits is long, including 'The Audience' now on Broadway. Speaking to one of the managers during intermission about the magic of the production, the likes of which I’ve never seen on Broadway, his comment was: "I don’t know if they could have pulled that off if they weren’t working with ballet dancers...” To give an assist and cast a spell over all, there are batteries of lights and cameras positioned on three levels throughout the theater. I remember other enchanting Broadway productions, beginning with 'Camelot,' with a dashing young Robert Goulet as Sir Lancelot singing "If Ever I Would Leave You." A standee for that show, I still recall the thrill of it all. So, tell me, what’s your favorite theater memory? Hopefully, everyone has at least one! 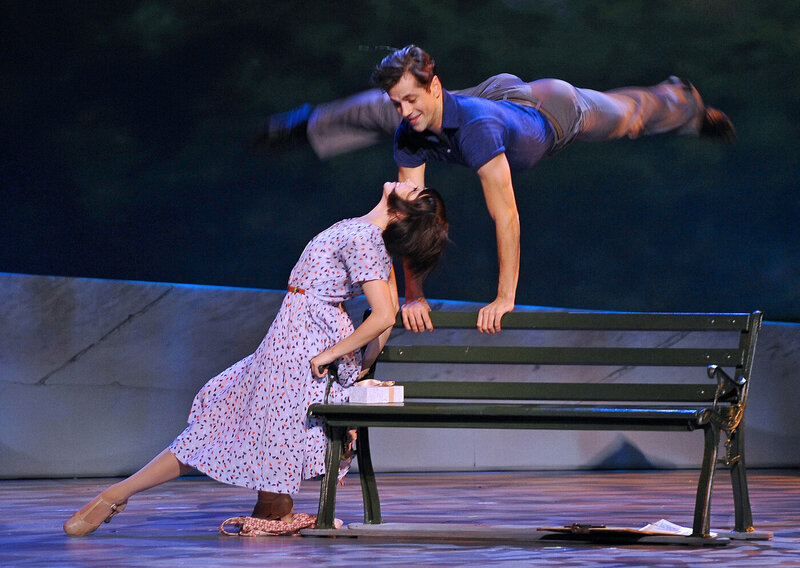 If that's not the case, ‘An American in Paris’ has to be one of the most satisfying Broadway productions ever. Whatcha' waiting for? Get your tickets. By the way, for all of you early-birds who enjoy reading Desperately Seeking Paris, along with that first cup of coffee and the morning paper, future posts are scheduled to go out at nine o'clock on Sunday mornings. I sign off today, looking forward to being An American in Paris within a few weeks. Once again, thanks for dropping by and remember...sharing is caring. A bientot!